1.1 In this policy, “we”, “us”, “our” refer to Pick Me Locksmith Ltd and “you” and “your” refer to our customers. 1.2 We are committed to protect the private data we receive and store from you and respect your rights under the General Data Protection Regulation. 1.3 This policy applies when we receive your data and we are acting as “data controller” and when we process it and we are acting as “data processor”. 1.4 For more information about us and how you can contact us, please see Section 10. 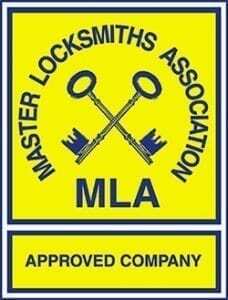 1.5 Credit: This document was created using a template from the Master Locksmiths Association that is made available to members only. 3.1 In this section we explain how we use your personal data. 3.2 Your data will be use as correspondence data Pick Me Locksmith Ltd may contact you by e-mailing or calling to give you updates on the service required or to send you a written quote). The legal basis of processing the correspondence data is the legitimate interest to perform a service, requested by you from us. 3.3 Your data will be used as transaction data and it may be used for financial records such as VAT invoices and it will be kept for 6 years. The legal basis of this processing are the “legal obligations” to which Pick Me Locksmith Ltd is subject. 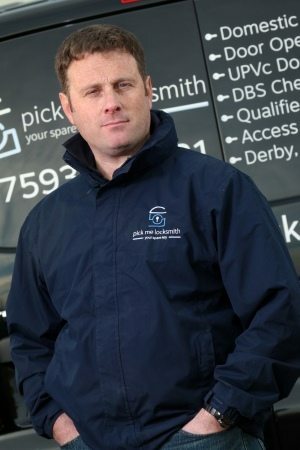 4.1 Pick Me Locksmith Ltd does not share your private data with any other third party. 5.1 This section explains how we store your private data and for how long. 5.2 Your private data may be printed and secured in our filing cabinets. The cabinets are placed in the branch locations and are covered by an alarm system. We store our correspondence/schedule data for one year for the legitimate purpose of keeping a record of the job our company attends. 5.3 Your private data may be stored electronically on our servers that are based in the UK. Our computers are protected by password and anti-virus program, and they can only be accessed by our staff members. 6.1 This section explains how we delete/destroy your data once is no longer needed. For more details about the length of time we store your data please see Section 3 (3.3) and 5 (5.2). 6.2 Once your private data is no longer relevant/needed Pick Me Locksmith Ltd will permanently delete the electronic files. 6.3 Once your private data is no longer relevant/needed Pick Me Locksmith Ltd will hire a secure document shredding company, that complies to the GDPR, to destroy the documents. 7.1 Pick Me Locksmith Ltd has standard procedures to protect your details against data breaches such as passwords for electronic files, that are periodically changed every 3 months, alarms and secure filing cabinets for physical documents. For more details on how we securely store your documents please see section 5. 7.2 We back-up your data by creating an electronic copy of each document that is securely stored on our server based in the UK, that is protected by password and anti-virus program. 7.3 Pick Me Locksmith Ltd understands the legal requirement to report a data breach to ICO (Information Commissioner’s Office) in maximum 72h hours from the event. We also commit to inform every person that has been affected by the data breach. 8.1 We may update this policy in order to improve our data management. 8.2 We will notify you of any significant changes to this policy. 9.1 This section explains the rights, you have, as a data subject, in relation to your personal information. 9.2 To be informed about how, why and on what basis that information is processed. 9.3 To obtain confirmation that your information is being processed and to obtain access to it and certain other information, by making a subject access request— your request will be answered in maximum 7 days. 9.4 To have data corrected if it is inaccurate or incomplete. 9.5 To have data erased if it is no longer necessary for the purpose for which it was originally collected/processed, or if there are no overriding legitimate grounds for the processing (the right to be forgotten). 9.6 To restrict the processing of personal information where the accuracy of the information is contested, or the processing is unlawful (but you do not want the data to be erased), or where the employer no longer needs the personal information, but you require the data to establish, exercise or defend a legal claim. 9.7 To restrict the processing of personal information temporarily where you do not think it is accurate (and the employer is verifying whether it is accurate), or where you have objected to the processing (and the employer is considering whether the organisation’s legitimate grounds override your interests).